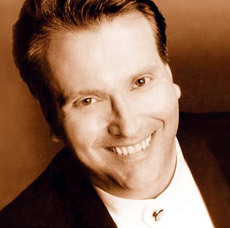 Canadian pianist, Kevin Fitz-Gerald, enjoys a versatile performing career as recitalist, orchestra soloist and chamber musician. His performances have garnered international acclaim and he has been recognized for his “hypnotically powerful and precise” pianism and “dynamic and distinguished” interpretations. His concert tours and performances have taken place in major concert halls, universities and concert organizations throughout the United States, Canada, China, Japan, Korea, Australia, Mexico, South America, the Mediterranean and the Caribbean. Notable venues include Carnegie Recital Hall (New York), The Mormon Tabernacle (Utah), Walt Disney Concert Hall (Los Angeles), National Arts Centre (Ottawa), Roy Thompson Hall (Toronto), Place des Arts (Montreal), Izumi Hall (Osaka), Suntori Hall (Tokyo), National Gallery (Kingston) and Town Hall (Melbourne). He has appeared with several Canadian and American orchestras including the Toronto Symphony, Montreal Symphony, Canadian Chamber Orchestra, CBC Radio Orchestra, Calgary Philharmonic, Los Angeles Camerata, Utah Chamber Orchestra and more.